1) Oh happy day: After a July fire put CommonWealth (2882 Telegraph Ave.) out of commission for several months, the pub completed its glorious and highly-anticipated rise from the ashes just in time for First Friday, as noted by East Bay Dish. The owners are aiming to stay open Tuesday-Saturday, 11 a.m. to 11 p.m., for the rest of October, but it looks like they’re easing into it day by day thus far, so check the restaurant’s Facebook page for updates. 2) We’d been waiting to hear what would become of Divino (1401 University Ave.), the family-friendly Italian restaurant in West Berkeley, after the restaurant closed suddenly “for reinvention” around the end of August — a clear kiss of death, in retrospect. Now, Berkeleyside reports that the restaurant will reopen sometime in November as Pizza MODA, a pizzeria with Pizzaiolo/Dopo type aspirations. Time will tell. Meanwhile, Divino co-owners Marco Polo Garbarino and Joan Gallagher (also the chef) couldn’t be reached for comment, but given that Pizza MODA is looking to hire a new chef, it doesn’t appear that they’re still involved in the project. • Destino (3909 Grand Ave.), a pan-Latin restaurant from the former owner of Somerset, has opened in the former Taste of Joy location, as noted on East Bay Dish. • The owners of Flora have opened a new bar called Fauna (1900 Telegraph Ave.) in the space between Flora and Xolo, their other restaurant on that Uptown Oakland block. Eater has a couple of photos. 4) Following the sad news that the downtown Berkeley dance club Shattuck Down Low (2284 Shattuck Ave.) has lost its lease and will be homeless as of the end of this week, fuzzy details have emerged about the restaurant that will eventually take its place. 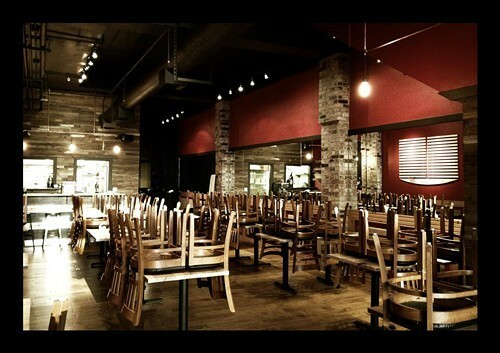 Initial reports said the new venture would be a pizzeria/bar combo, but Diablo Dish notes that the new tenants, Lisa Holt and David Shapiro, are keeping their plans awfully close to the vest. The only thing they’ve divulged is that the restaurant will be casual and student oriented — this despite the fact that Holt and Shapiro have made their name designing luxury hotels. 5) This Saturday, October 13, Umami Mart is collaborating with the proprietors of East Bay Urban Bees to organize an urban beehive tour, which will include a honey tasting. The hive in question is at an undisclosed location in Piedmont — the specific address will be revealed to ticket holders privately before the day of the event. There will be two tour sessions, one at 1 p.m. and another at 3 p.m. Tickets are $35. 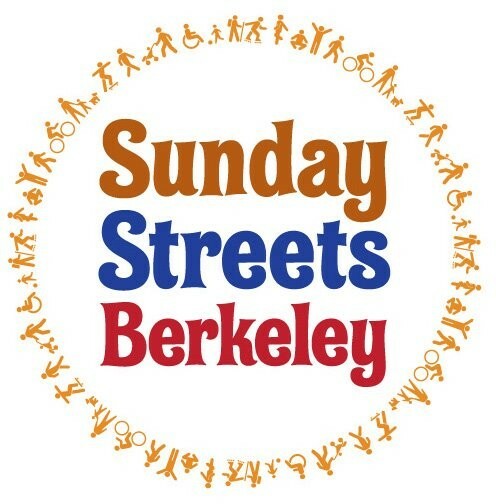 7) Also happening in Berkeley for the first time this weekend: Sunday Streets, a daylong closing-off of Shattuck Ave. (17 blocks, from Rose St. to Haste St., from 11 a.m. to 4 p.m.) so that pedestrians and cyclists can enjoy a variety of activities in the street, in the absence of automobiles. Food-and-drink-related elements include tours of the Triple Rock Brewery (1920 Shattuck Ave.) that will be conducted every hour on the hour, and $3 Trumer Pils pints at Saul’s, BEC’s, Five, and Phil’s Sliders. Here’s a handy Google Map to help you navigate the day’s events. UPDATE: In addition to the above, Local Butcher Shop will grill sausages on Vine St., Saul's will sell pastrami and housemade sodas out their window, and both Revival and Comal will open early (at noon and 3 p.m. respectively). 8) Now up at Guest Chef: “Indigenous Edibles” — foods of the Americas as created by John Farias, that rare chef/natural-historian combo, whose dishes make use of indigenous plant species and other foraged ingredients. Inside Scoop has additional details. The recommended four-course tasting menu is priced at $50 a person, but you can also order a la carte. Farias’ run at the restaurant will continue until October 21. (Also, the Guest Chef website seems to have a relatively new online reservations system, so feel free to use that to book your table. 9) Finally, now's your last chance to book a spot at tonight's Gangnam Style flash mob progressive dinner — check out that story, as well as my write-up this week on Borgo Italia's pastry counter.